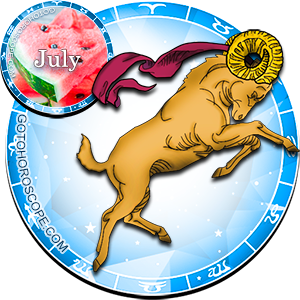 July 2012 Horoscope Aries, free Monthly Horoscope for July 2012 and Aries Astrology Forecast for the month ahead. 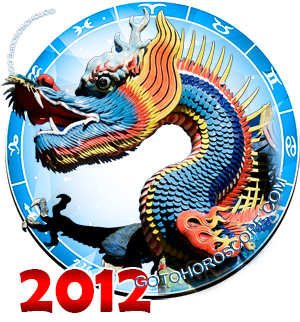 Overview: 2012 may well be your luckiest year in some time, now, and this month will truly allow you to shine through. The planets will align to focus on your power: the Sun, Mars and Venus all come together to help you conquer your goals. Your power and charisma will be enhanced, so others will be drawn to you. Since July's energy will focus on the power you have inside, you will want to make sure you put your money where your mouth is and take care of business. The best advice is really to set the gears into motion and to follow through with your plans. Also, you will have plenty of allies to help you in your quest. Though the outcomes may seem unintelligible, now it definitely the time to move forward and to break away from the past. Career and Work: Although your mind will probably drift away from work throughout this month and crave for some fun, this is definitely the month that will give you an excellent opportunity to create solid business opportunities and a stable work-related future. Mars will drop in for a visit on your 6th house (Health & Work) and, together with the sun, will create the calm you need and the mental stability to plan out and execute any ideas or plans. Don't expect financial gains just yet, but be patient! Finances and Money: the Sun will be lighting up your 6th house and your mind may be filled with money concerns. However, these are only simple distractions that are pulling your energy from the big picture. You shouldn't encounter any unexpected expenses, but if you have a budget you need to control or if you want to analyze your financial situation, take some time to write these things up. It's an excellent opportunity to establish the financial future for your life. If you use your words right, you may establish business opportunities that may last for years to come. 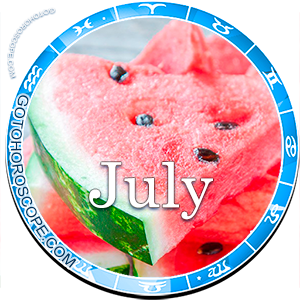 Love and Relationships: The stability that was begun on the previous month will last throughout July 2012, also, and you should expect more interactions with family members and friends. However, since Mercury becomes retrograde on the 22nd, you should watch your words carefully and keep your patience close to you, because, otherwise, you could end up creating a serious situation and hurting someone close with your words. As for romantic connections, this could be a very good month. Since Venus is in intense Scorpio, don't be surprised if a stranger sweeps you completely off your feet, but bear in mind that it could be a love and hate relationship and that it won't last long. However, if your mind has been occupied by a particular person, this is the time to make a move. Health: Since the Sun and Mars will be stationed in your 6th house this month, your health will be vibrant and lively. Therefore, you will probably have more energy and the stress you have been feeling will likely disappear. Take more time to sleep and relax, because you may be tempted to spend all of this extra energy at once. However, keep an eye out for children, especially involving and around children.